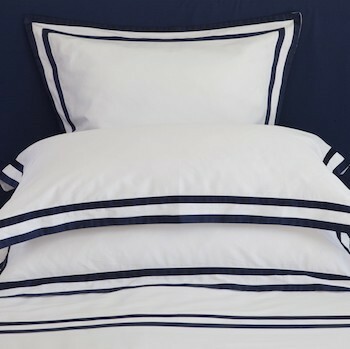 Modern-upscale tempered with bold elegance, Formentera is our 280 thread count 100% Egyptian cotton white sateen collection. 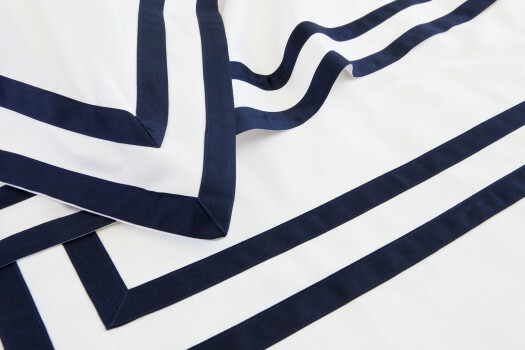 The single size flat sheet comes in white with a double applique banding in navy blue at the head of the sheet creating a distinct statement look. One of our favorites designed for Australians alike, it´s a delight to sink under the covers of our single size flat sheet each night and wake refreshed. 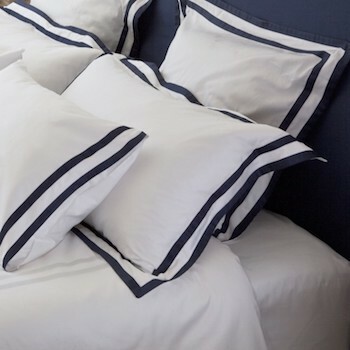 Formentera´s fine sateen weave is light yet warm and so soft against your skin it´s comfortable throughout even the extreme Australian seasons.